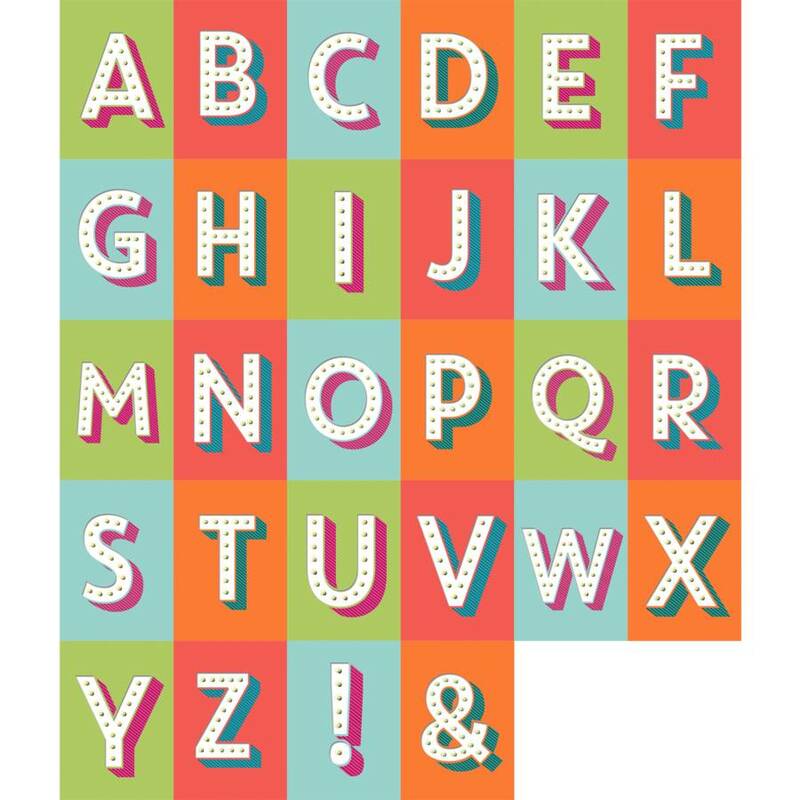 These lovely, fun personalised circus letter prints are a great way to brighten up a childs bedroom! 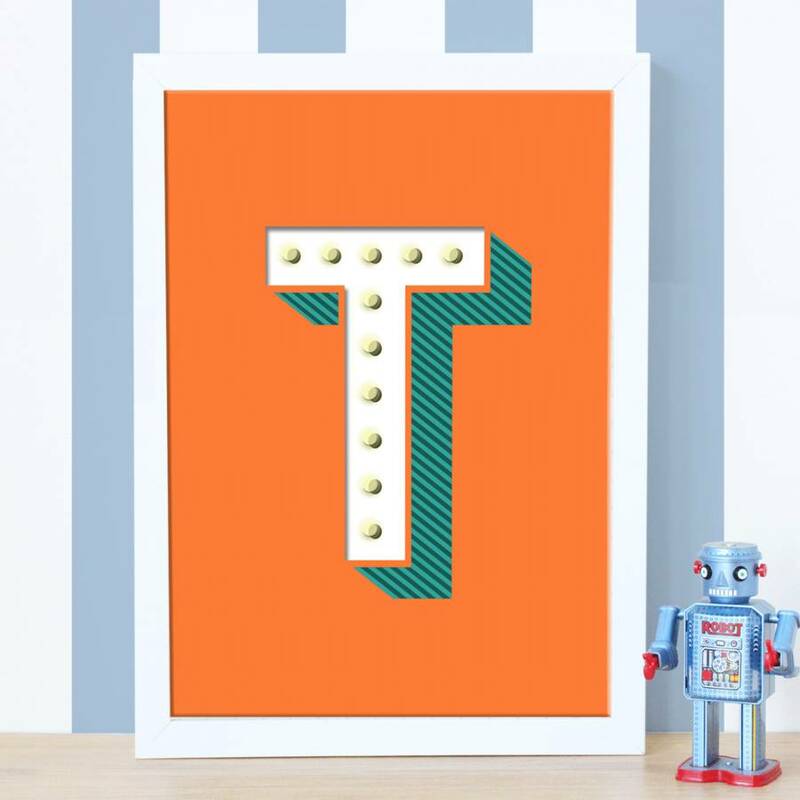 These bold typographic letter prints, reminiscent of circus marquee lights are are colourful enough to brighten the dullest of rooms! 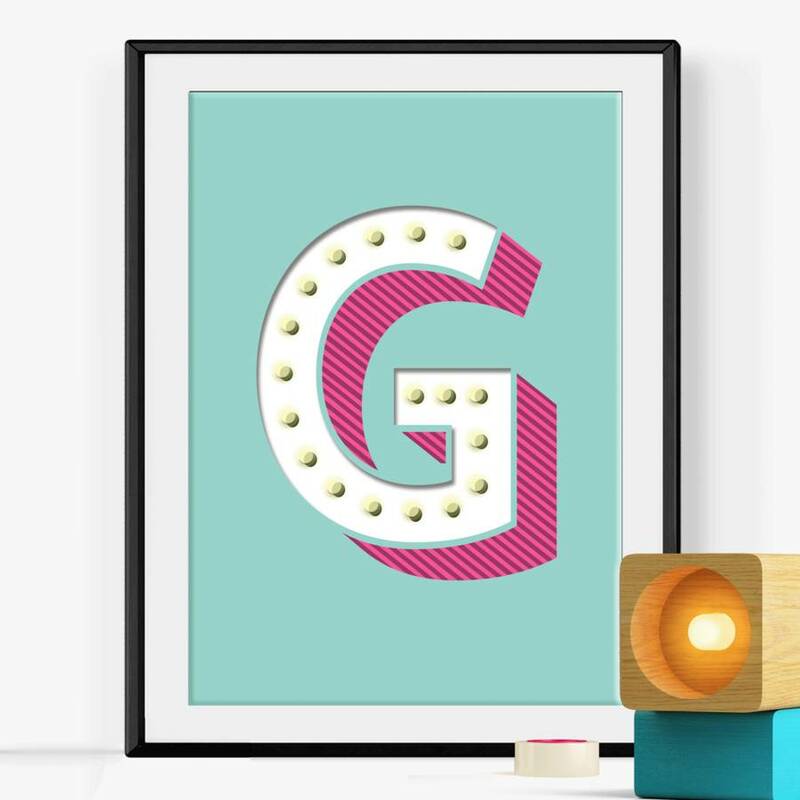 Available to purchase in a number of ways - from individual letter prints to a set of two or three, the prints can also be personalised with a name and date, please see the photos for an example. 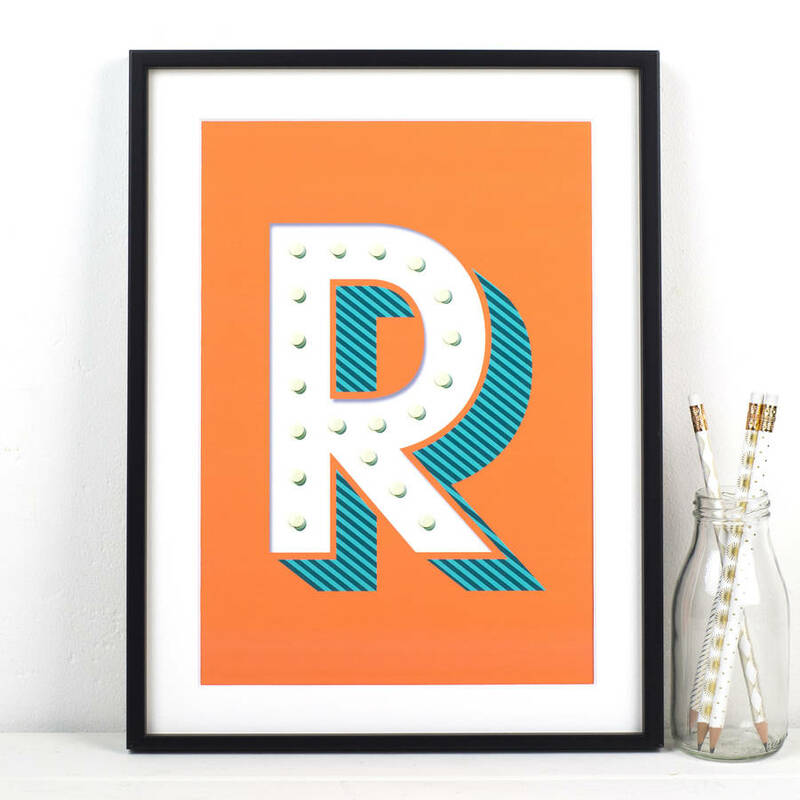 Each of the letters and symbols are available in the four colour ways - blue, orange, green or red. Please specify the letter you woud like and make your colour selection when checking out. 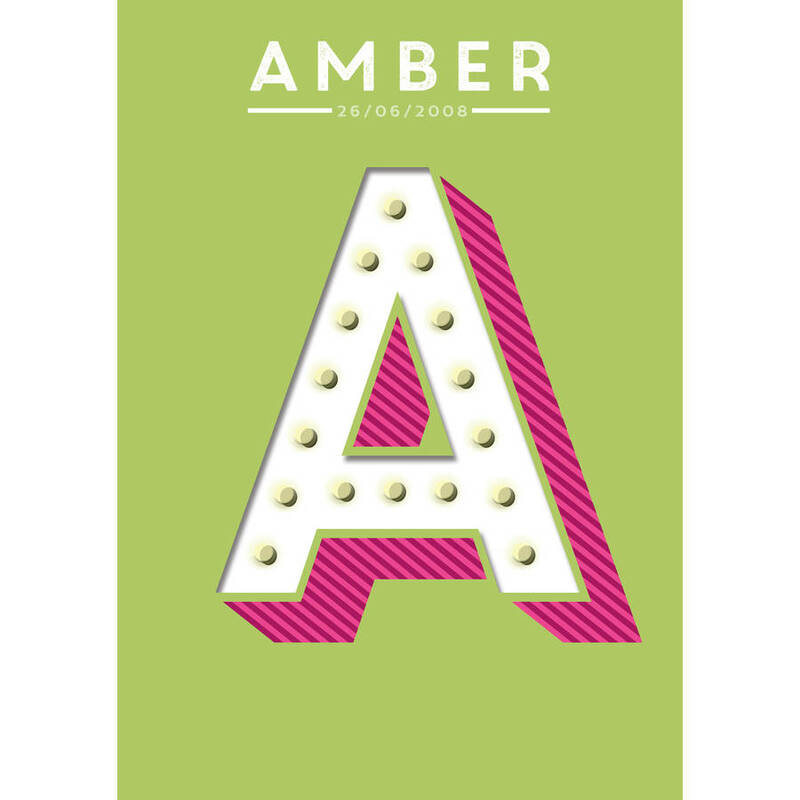 If you would like your print to be personalised, please write the wording you require written at the top of the print carefully in the box to the right. Please note that unfortunately the multibuy offers only apply to unframed prints, framed prints need to be bought and paid for individually. 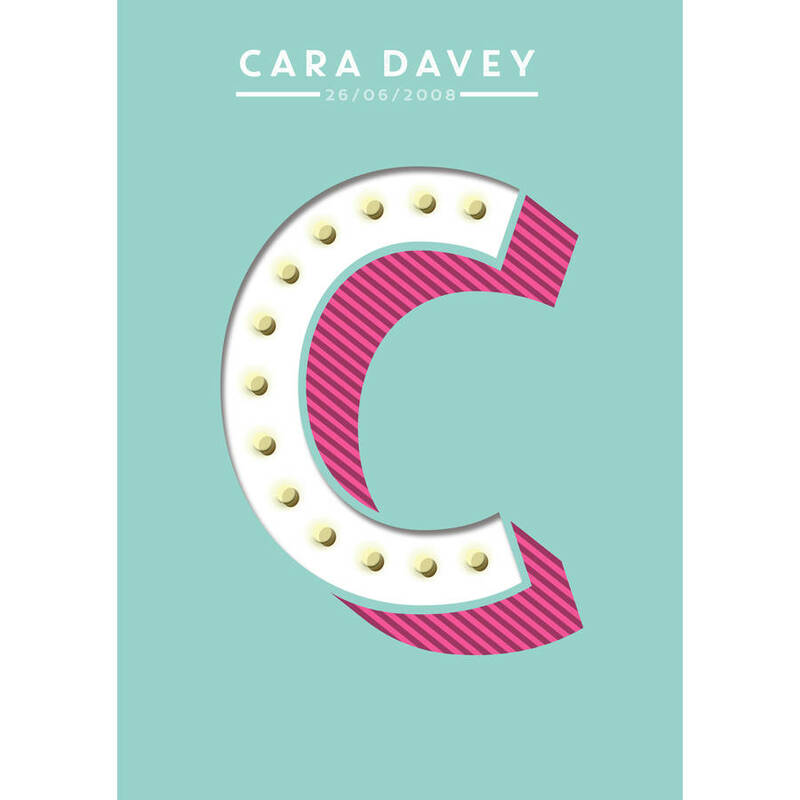 A4 - The image is printed on crisp, archival 210gsm Décor poster paper which is naturally white with a slight texture, using HD ink for an exceptional print quality. The print fits any standard, off the shelf frame or mount with an A4 (21 x 29.7cm) aperture and is sent cellophane wrapped with a cardboard backing. 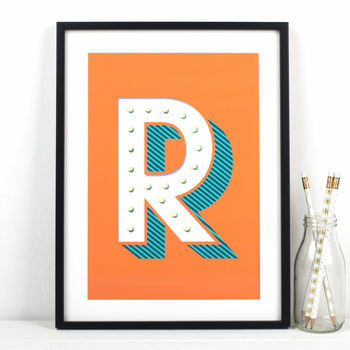 A3/A2 Giclee prints - the larger size prints are printed on a premium 270gsm paper using top of the range HP printers. The specialist paper has a matt-coating with an off-white shade and a smooth surface texture. The matt coating guarantees brilliant colours and a sharp resolution. 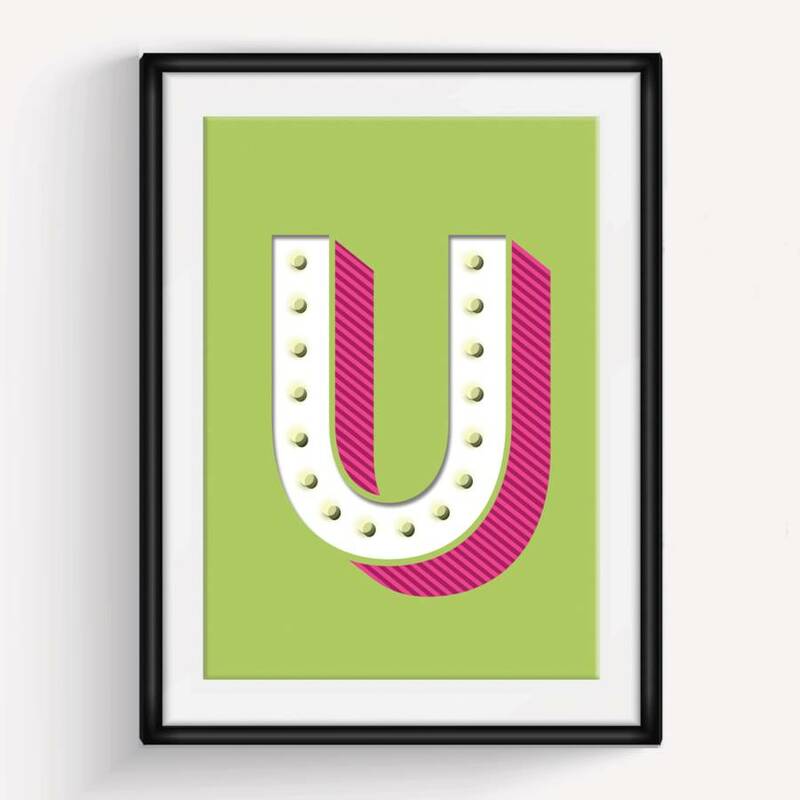 The letter prints can be framed and mounted in your choice of black or white frame. The real wood frames have a smooth finish with no grain visible and come with high quality acrylic safety glazing. 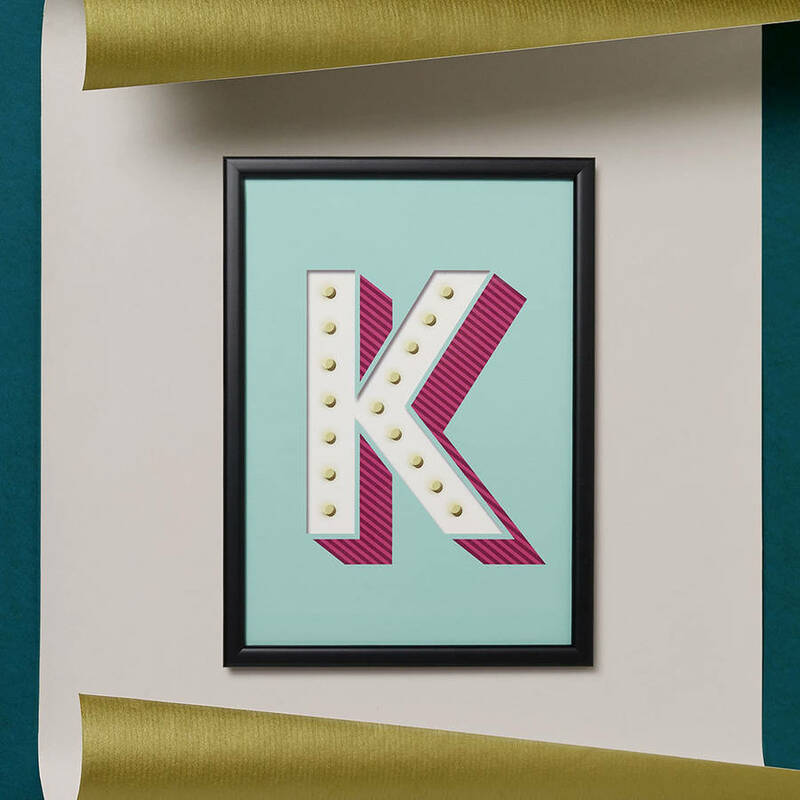 The frames provide the perfect finish and come complete with a precision cut mount and D rings with cord for displaying. The frames are supplied and prepared by specialist framers and members of the Fine Art Trade Guild. 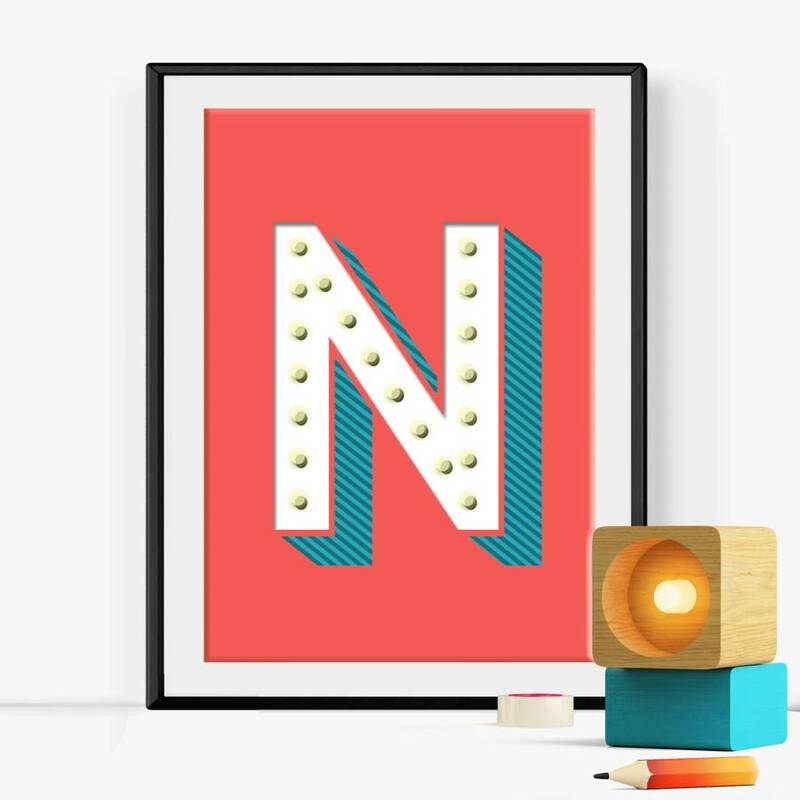 Unfortunately Express Delivery doesn't apply to framed items and they are only available for UK delivery. This product is dispatched to you by Of Life & Lemons.